"Ive been inspired by my own children playing in the natural garden environment and their colourful, magical imaginations! The snails and leaves pop up a lot through the collection and I love the idea of children creating magical garden games, so I have included bees and their honeycombs, birds, flowers, bunnies, kites, watering cans and wellies in colourful rainbow shades. 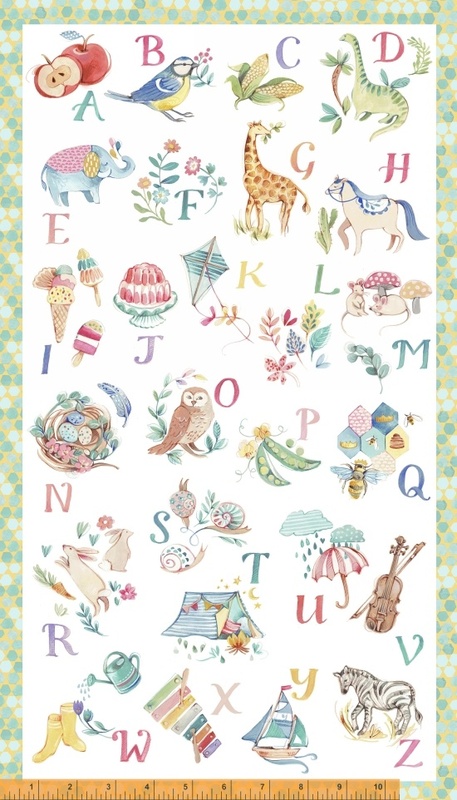 Collection used in the adorable Learn, Play, Grow Quilt Kit listed below! On Sale: January 2019. Ships: May 2019. 16 skus.